Lucy and Dora are so excited to learn they will be sleeping in a tent at the beach! Then Mother and Uncle Dan tell them that their kitten, Timmy is not invited, and Father says he might even run away. Arrangements must be made for Timmy... but will he agree to their plans? This charming story follows two sisters over the course of about a year and the things that they do with their family. 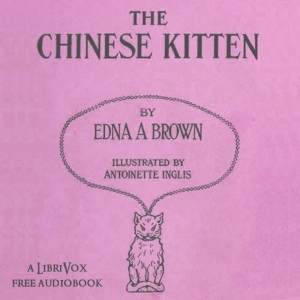 The Chinese kitten is a part of an old chess set that the girls get from their aunt because one of the girls lost her necklace (a silver bear) during a camping trip. Lots of working on needle point, washing dishes, going to school, and different holidays and what they do during them.